Kelsie Ahbe was an All-American and Big Ten Champion while competing at Indiana University from 2010-2014. She now trains in Knoxville, Tennessee with Coach Tim Mack. She will compete for Team Canada at the 2015 Pan American Games in Toronto, ON on July 23. Kelsie has a personal best of 4.47 (14-8) which she set earlier this year. Leslie Brost returns to MKE Vaultfest after placing sixth at the USATF Outdoor meet with a jump of 4.50 (14-9) an improvement over last year’s season best of 4.26 (13-11.75). Leslie is currently living in Minneapolis, Minnesota after recently graduating from North Dakota State University in 2012. 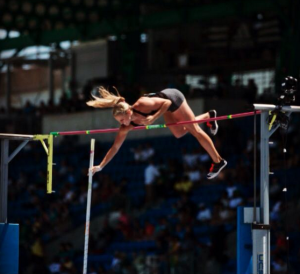 In 2012 she was the highest-placing collegian in the U.S. Olympic Trials for pole vault, finishing ninth. During her collegiate career, Brost was a six-time conference champion at NDSU (four outdoor, two indoor). She qualified for six NCAA DI National Championships (four indoor, two outdoor). She also competed at two USATF National Championships and the 2012 Olympic Team Trials. 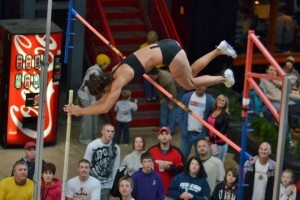 Brost grew up in Watertown, South Dakota where she still holds the South Dakota high school pole vault record of 13-3. Melissa Gergel returns to the MKE Vaultfest after participating in our inaugural year in 2014. Melissa is a Chicago native Melissa Gergel comes to Vault Fest 2014 from her current training base in San Luis Obispo, CA. After a successful high school career at Marian Catholic in Chicago Heights, IL, Melissa chose to attend the University of Oregon. While at Oregon, she accrued 7 All-American awards, won the 2011 NCAA Outdoor National Championship, and was a 2-time Pac-10 All-Academic selection. Gergel completed her Bachelor’s of Science degree in Human Physiology with a minor in Biology in just 3 years. During her 4th year at the U of O, Melissa began graduate school and eventually completed her Master’s degree in Human Physiology. Gergel has consistently placed in the top-10 at the USA Track and Field Outdoor Championships, including a 4th place finish in 2011 and a 7th place finish at the 2012 Olympic Trials. Melissa has a personal best of 4.50 (14-9.25). She currently trains under her Tim Mack, 2004 Olympic Gold Medalist, in Knoxville, TN. Kylie Hutson is an Indiana State graduate where she was a four-time NCAA champion and five time all-american. Kylie participated in the Olympic Trials in 2008 and 2012 where she placed 13th and 4th. Kylie was the 2011 USATF Outdoor National Champion and has a PR of 4.75 (15 – 7). Kylie recently jumped 4.40 (14 – 5) at the USATF Outdoors Championships in Eugene. 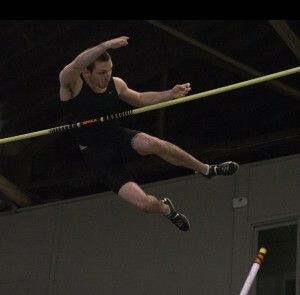 Schmitz clears the bar at Vault in the Ville. Three time All American Vera (Neuenswander) Schmitz entered into the post collegiate track and field arena after NCAA Division I Championship finishes of 2nd in 2009 and 4th in 2011. Schmitz has a personal best of 4.45m (14′ 7.25″) and trains in Indiana. Stately goes for the bar. Brysun Stately was a 4x All-American while competing for USC and one year at university of Nebraska Lincoln. She competed in the 2008 and 2012 Olympic trials. 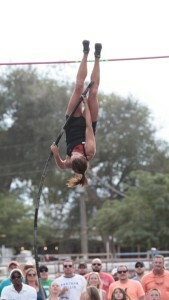 Her personal best is 4.40m (14′ 5 1/4″). She currently lives and trains in Sacramento, California. 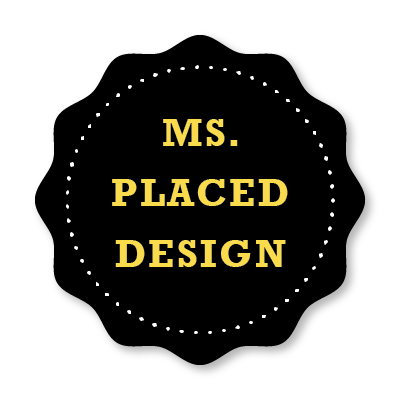 Melinda Withrow is a Montana native who attended the University of Idaho. 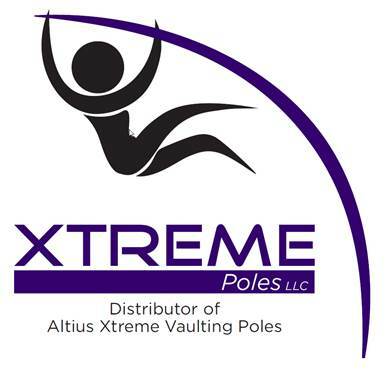 While a student there she set and currently holds both the indoor and outdoor pole vault records. Melinda currently coaches at the University of Montana in Missuoula. Melinda was an Olympic Trial finalist in both 2008 and 2012 with her eyes set towards the Olympics in 2016. Melinda has a SB of 4.60 this year and recently competed at the USATF Outdoor National Championships jumping 4.40m (14′ 5 1.4″). 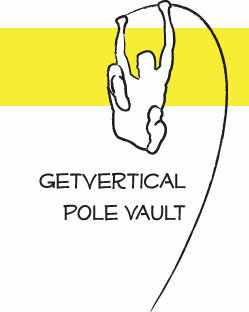 Peter Geraghty returns to MKE Vaultfest after jumping 5.30m from a 5 left run last year for third place. Peter recently competed at the USA Track and Field outdoor national championships with clutch make over 5.50 (18-0.5) on his first attempt to take fourth place for two years in a row. Peter hails from Oak Park, IL and is a recent graduate of Eastern Illinois University. Peter now trains in Madison, WI under the coaching of Kyle Ellis. 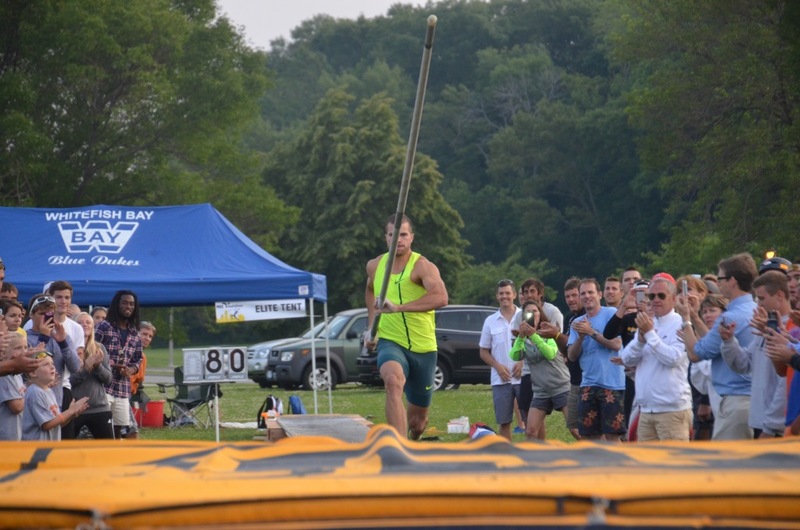 Mark Hollis returns to defend his MKE Vaultfest title and meet record which he set last year at 5.82m (19-1). Mark recently competed at the USA Track and Field outdoor national championships where he placed 5th with a vault of 5.50m (18-0.5). Mark is a two time NAIA champion, a two time National Champion, two time Olympic Trials qualifier and a member of the 2011 World Team. Zach Siegmeier joins the elite competition at MKE Vaultfest for the first time in 2015. Zach is a former Minnesota Gopher having won three straight Big Ten titles in the pole vault (Outdoor ’13, Indoor & Outdoor ’14). He also finished 5th at the Outdoor NCAA Championships after jumping 5.50 (18’ ½”). Zach recently moved to back to Minneapolis to train with his college coach again. Josh Winder was a 6-time D3 NCAA All-American and was the 2012 Indoor and 2013 Outdoor D3 National Champion from North Central College. He is a elementary school physical education teacher in Buffalo Grove, IL and the pole vault coach at Vernon Hills High School in Vernon Hills, IL. He trains as a post collegiate vaulter and has a personal best of 5.30m(17’4.5″) Indoors and Outdoors. Mark Hollis (Nike) just before taking off to vault 5.81 (19-1). Download the Sponsorship Package here! Sign-up to help make Vaultfest a success! 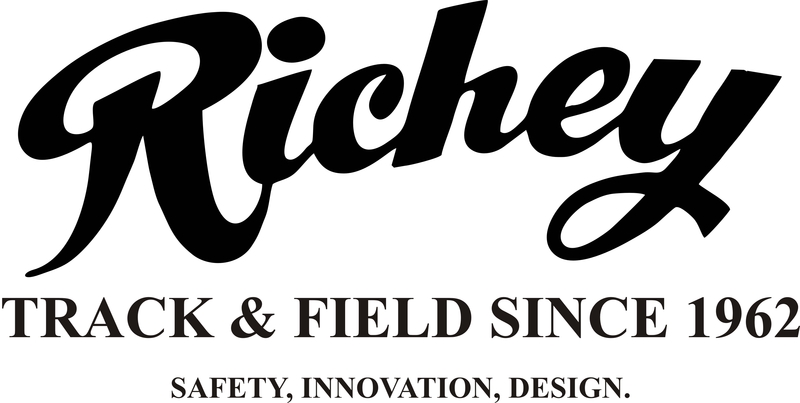 Thanks to our Runway Sponsor! Thanks to our Pit Sponsors!